There's always something happening at Copley Junior School. We are fortunate to be able to offer our children a vast array of opportunities and experiences to enhance their learning journey. We aim to make sure that every child has access to a range of extra-curricular activities to supplement and support their learning outside of the normal school day. Please look below to find out more about all the extra-curricular activities we offer. These activities are highlighted in our newsletters and in a termly club letter. In addition, we often send home details of external activities/events from other local providers so that you can enjoy these as a family. During 2017-2018 we offered 20 extra-curricular clubs, including CREST Science Award, Create Club, Choir, Art, Scotty's Heroes, Basketball, Balloon Modelling, Yoga, Sand Art, Football, Archery, Orienteering, Aromatherapy, Cooking, Gymnastics, Street Dance, Cheerleading, Magic, Homework and Cross Country. Spring Term 2019 - We are offering a wide range of clubs for the spring term, including football, basketball, Create Club, craft, Lego, cooking, gymnastics, Star Medics first aid club, street dance, archery, Scotty's Heroes, aromatherapy, choir, CREST Science Award Club and home learning. Please click here to view the spring term club letter. The ‘SuperStar’ programme is designed for pupils from 7-11 years. Children need to attend for eight sessions to undertake a range of science investigation activities. The scheme provides a vast bank of resources and ideas for us to choose enjoyable science investigations for the children to complete. Each week the children have their Science SuperStar passport stamped. Once the children have completed the full eight sessions they are awarded the CREST SuperStar certificate and badge. Well done to our junior scientists who have achieved their Superstars Science CREST Award. Create Club – Create Club is run by Mrs Lyons, who runs her Create Club Company, providing workshops for schools and community groups. The children made a creative ‘Around the World’ product each week to bring home as follows: Cave paintings with charcoal and mud; Aboriginal art; African bead making; Indian rice mandalas; Japanese printing and origami; Marvellous Mayan masks; Russian Faberge egg. 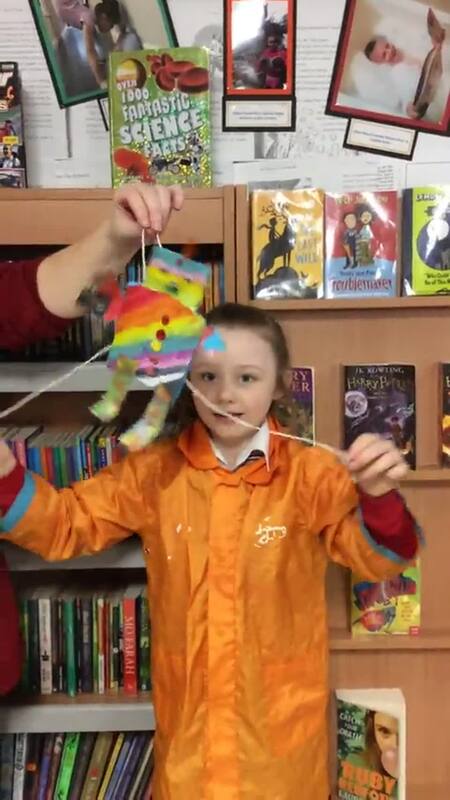 In 2019 Create Club had a science theme: The Solar System – Marbling Planets; Exploring Light – Making a Spectroscope; Force and Reaction – Create a Gliding Robot; Computers and Binary Code – Binary Keyrings; Designing Planets – Create a 3D Planet; Whirligigs - Create a Colourful Spinning Whirligig; Exploring Reflections – Create a Kaleidoscope; Wind Catchers; Optical Illusions and Exploring Absorption – Rainbow Salt Pictures. Choir - Once again, our enthusiastic Year 5 and 6 choir (of 61 children!) took part in the Young Voices Concert at Sheffield Arena. 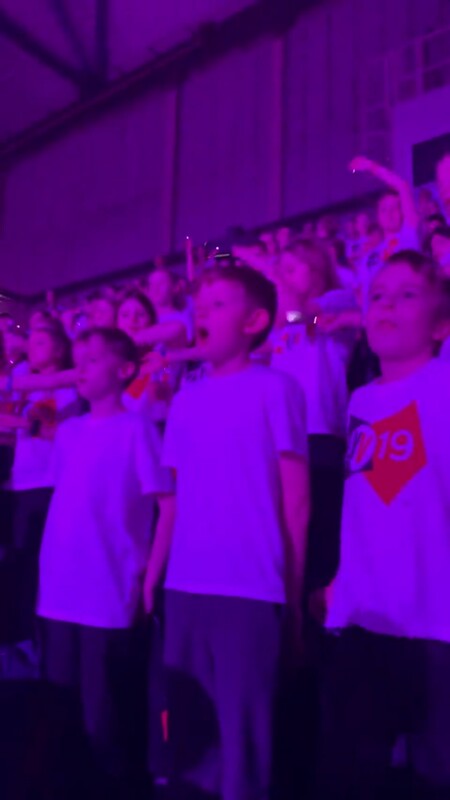 After months of practising the songs and dances with Miss Havercroft, the children were very excited to attend the afternoon rehearsal, followed by the concert itself. 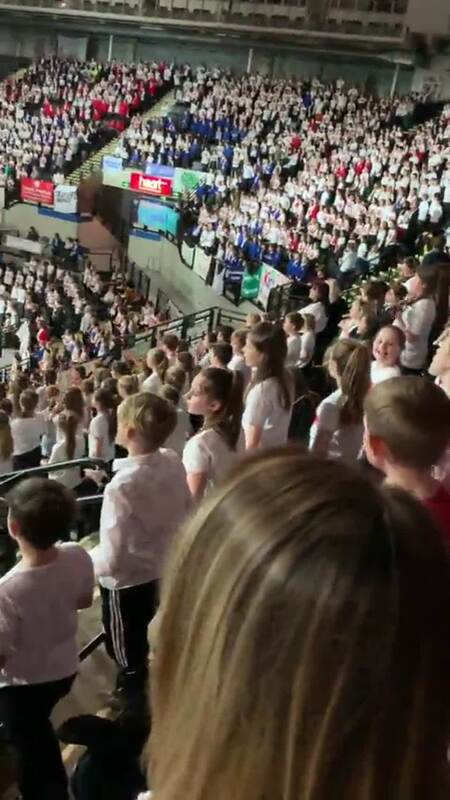 The whole performance with the dancers and vocalists along with the beat box crew was amazing, not to mention of course the incredible 5250 children in the Young Voices choir. We greatly appreciate that so many parents/carers and relatives were able to come in the evening to enjoy the performance. Well done to all the children for putting in so much effort to learn the songs and dance moves. As usual, the children were an absolute credit to the school with their enthusiasm and excellent behaviour. Art - Miss Passant leads our very popular Art Club. Children undertake fun activitities to develop their skills using a range of media, including water colours and oil pastels. Scotty's Heroes - Our military fitness club, Scotty's Heroes, encourages children to take part in military missions that are lots of fun too. We asked the club provider to describe the club for new starters and this is what they say about Scotty’s Heroes! Our summer Scotty's Heroes Holiday Club saw some great activities for the hot weather! Lego - We are very grateful to neighbours in the local community and CSA members who have helped us to build up a huge collection of Lego. Each week the Lego models get bigger and bigger! Star Medics First Aid - Our Star Medics First Aid training course is a carefully developed after school programme that is aimed at primary children. It covers such issues as what to do if someone has a sprain, broken a bone, has an asthma attack, heart attack or suffers cuts and grazes. Bandaging patients and practising CPR on dummies is all part of the course. This a great opportunity for children to learn the basics about how to save a life. When children successfully complete the four week course they receive a ‘Star Medics First Aid’ certificate. Basketball - During Sporty Week our basketball sessions were so popular that the children in the Sports Council asked for a basketball club. Craft - The children make a craft product each week to bring home: badge making; dream catchers/mobiles; keyrings; finger puppets and seasonal craft. Balloon Modelling - You can hear the sound of balloons popping after school as children learn the skill of balloon modelling. Some wonderful balloon creations have been made! Yoga - Relaxation, motivation and learning new skills at yoga! Sand Art – Children thoroughly enjoyed creating sand art pictures with our outside providers. There were over 70 designs to choose from and children chose which sand colours to use to create their piece of art work, ready to take home at the end of each session. To find out more about Sand Art, and to watch a video about how sand art pictures are created, please visit our providers' website by clicking here. Football - Our football club is very popular! We have an external specialist who leads our Year 3/4 and Year 5/6 clubs. He keeps the children very active for an hour after school and supports the children to develop their football skills really well. Aromatherapy – We are very fortunate to have a close link with a qualified aromatherapist who leads our aromatherapy club. Children make a range of treats including: body wash; aroma bags; cherry bakewell pie soap; winter lip balms; magic bath oil and rainbow bath salts. Archery - Our archery providers lead our weekly archery club, which is always a very popular extra-curricular activity at Copley Junior. The children practise their skills and collect points through their training sessions. At the end of the course, children receive certificates and sometimes medals are awarded! Cooking - Our cooking club enables children to learn how to make a range of savoury and sweet food products. At the end of each session children have a tasty treat to take home. 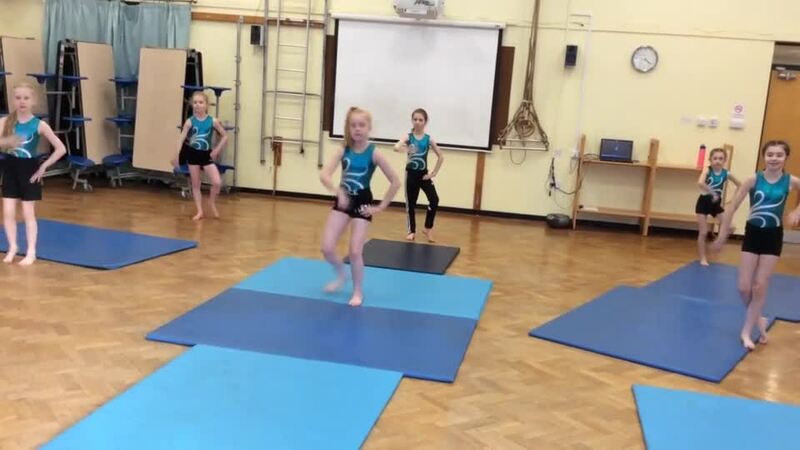 Gym - Our Gym club is led by Miss Hull. Every year our gymnastics team is selected following trials and we compete in the gymnastics championships. In 2017 we competed at county level and our team came 3rd for the whole of Yorkshire! In 2018 we are proud to announce that the team came 2nd for the whole of Yorkshire. In 2019 we are very proud to share that the team came first and they are now County Champions for the whole of Yorkshire! Street Dance - Danni leads our Street Dance Club with great energy and enthusiasm. Children develop their skills over a number of weeks and we invite parents and relatives to their club performance finale. 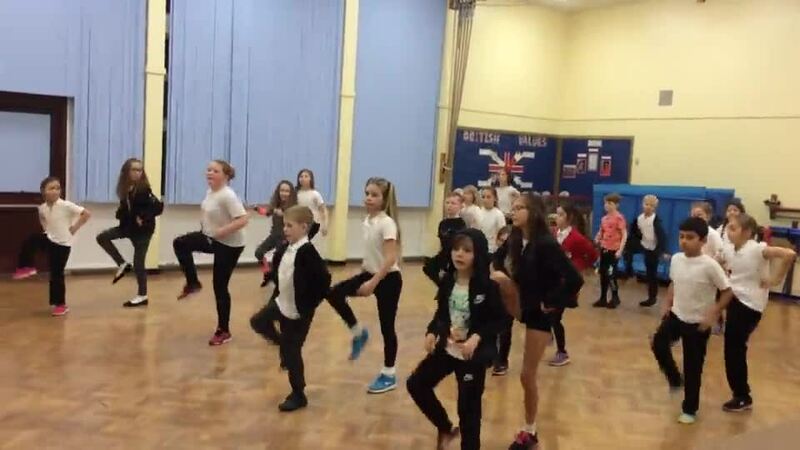 Click on the video clip below to see the Street Dance Club in action! Magic - The Magic Club of Great Britain helps to lead our Magic Club. Children learn magic skills and look forward to amazing parents/carers and relatives with a magic performance in their last magic session of the term. 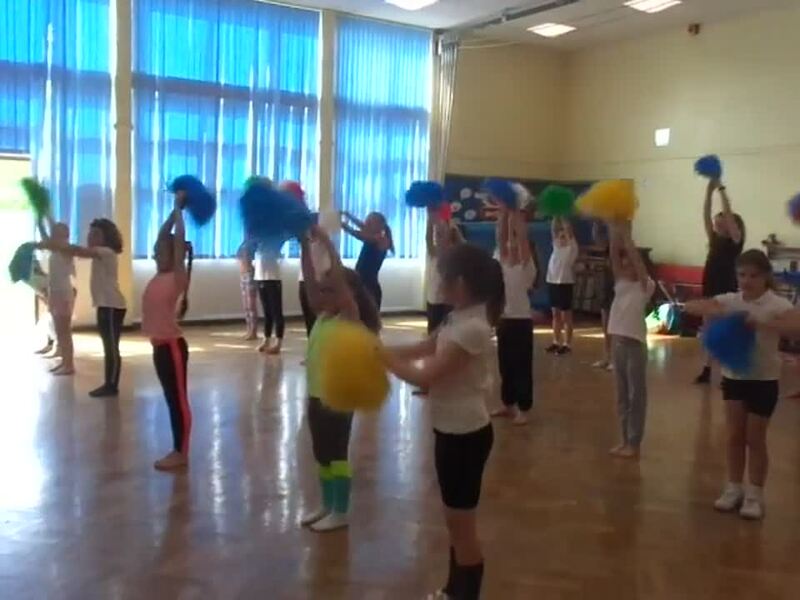 Cheerleading - Our Cheerleading Club practise their routines with great energy and enthusiasm. Click on the clip below to see one of their routines. Our curriculum is enhanced by residential visits in Years 5 and 6. Please click below to find out more information and view some pictures of the memorable experiences enjoyed by the children. Click on the photo below to follow the link to our 2018 Robinwood website page - this has galleries of over 400 photos from the visit for you to view. Day One Highlights - Our journey to Northumberland, Beamish Museum, rock pooling and evening activities on the beach. Click on the photo below to follow the link to our 2018 Northumberland website page - this has galleries of over 180 photos from the visit for you to view. From singing in assembly, School Choir rehearsals, peripatetic lessons for Violin, Clarinet, Flute, Brass and Guitar and Samba lessons, there are many musical experiences to be enjoyed at Copley Junior. Please click below to find out more.